The University of Liverpool and Queen's University Belfast are participating in a joint-venture spin-out company to take forward a new class of materials known as porous liquids, invented by researchers at both institutions. The University and Queen's University will be investing in `Porous Liquids Technologies Ltd', a spin-out formed around jointly created Intellectual Property that is being developed for a broad range of technological applications. Professor Andy Cooper from the University's Department of Chemistry and Professor Stuart James, from Queen's University's School of Chemistry and Chemical Engineering, invented the first examples of porous liquids technologies in 2015 with their research published in the journal Nature, funded by the Engineering and Physical Sciences Research Council. They have since been carrying out further research to increase the yield and effectiveness of the porous liquids. Porous liquids are a new class of liquid materials that contain microscopic cavities or pores, each the size of a single molecule. They contain up to 10,000 times the number of cavities that are found in conventional liquids, and up to around 20 per cent of the liquid is actually empty space – creating new substances with a far greater absorption capacity than the base solvents. Porous liquids can absorb large amounts of gas and can be tuned to selectively absorb one gas over another. Their major benefit is, unlike solids, that they can be circulated, meaning that they can be applied in a host of processes. Originally, the technology had been developed with applications in large scale industrial separations in mind but the product is already attracting interest in a number of other applications such as in medical diagnostics and household products. `Porous Liquids Technologies Ltd' will provide solution-focused consulting, research and development, and technology licensing. 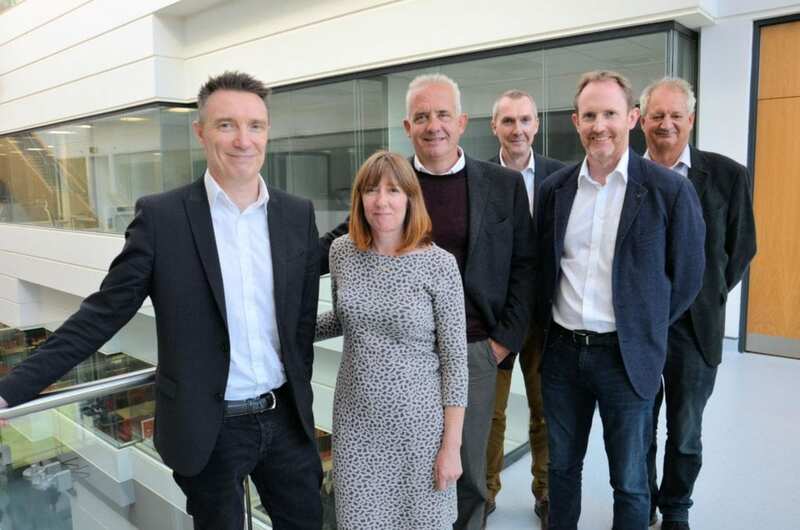 In addition to University of Liverpool investment, Emma Nolan, Head of IP Commercialisation at the University of Liverpool, will take a board position with the company. The IP Commercialisation Team works with academics at the University of Liverpool to protect and commercialise their research, either via spin-out or licensing. Professor Anthony Hollander, PVC for Research and Impact at the University of Liverpool, said: "The University is delighted to be co-venturing in the spin out company `Porous Liquids Technologies'. This is an exciting innovation and we think there are benefits to be gained from further Joint Ventures between Universities in the future." Professor Andy Cooper is also Academic Director of the University's Materials Innovation Factory, an £81 million project dedicated to the research and development of advanced materials.